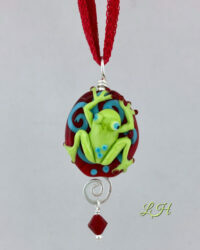 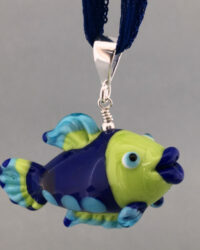 This whimsical Frog is sitting on an red with aqua spirals. 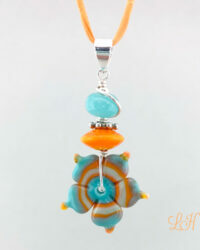 The back side has spirals also. 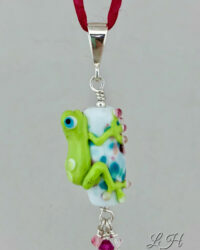 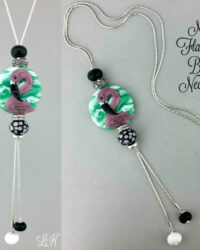 It have been finished with sterling silver, Swarovski crystal and finished on an adjustable silk ribbon.